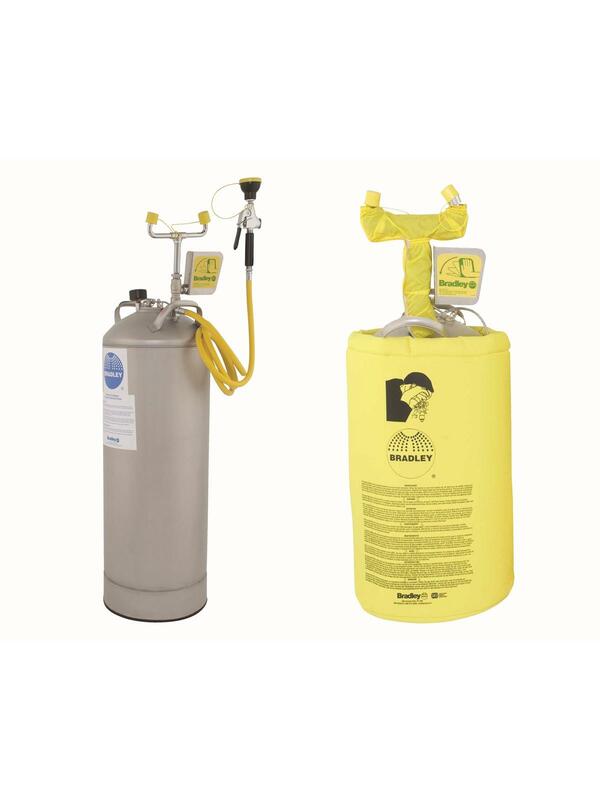 Stainless steel pressure tanks include tire filler valve with 0-160 PSI air gauge, pressure relief valve to prevent over pressurization and built in carry handles for easy transportation. Eyewash assembly includes twin eyewash heads with a flow control and pop-off dust covers. Eyewash activates by a large stainless steel push handle with a stay-open ball valve. A supplemental hose spray for face and body rinse has a 8' yellow hose with hand-held squeeze valve. Eyewashes maintain minimum 15 minute water flow. 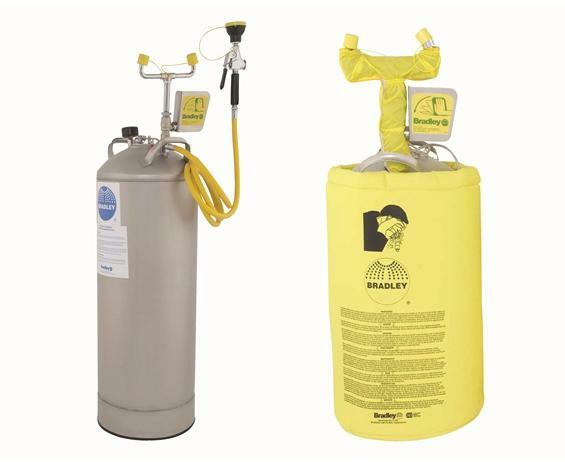 Retrofit heater jackets provide freeze protection down to -10°F (-23°C) for eyewash - does not include drench hose. UL Classified to meet ANSI/ISEA Z358.1. FOB Shipping Point.